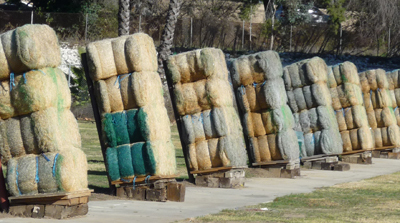 The Woodley Park Archery Range is located in the San Fernando Valley, near the junction of the 405 and 101 freeways. The range is open from sunrise to sundown, seven days a week, except during WPA classes, activities and events (check the WPA Range schedule for closures.) The range was founded in 1984 by the Easton Sports Development Foundation as a training facility for the Olympic Games, and is maintained by the Woodley Park Archers, the U.S. Army Corp. of Engineers and Los Angeles Department of Recreation and Parks. The Woodley Park Archery Range consists of a partially enclosed short range (18 meters) and an open air long range (90 meters per FITA specifications). The short range is equipped with a backstop made of tightly packed material, and has lights for night shooting. The beginner classes are held on the short range, as well as weekly club shoots and some special events. The long range has 12 lanes equipped with compressed bales. Archers may shoot from 10 to 90 meters on the long range. It is often the site of World Archery (formerly FITA) qualifiers and special events such as SCA (Society for Creative Anachronism) reenactments. Twice a month, on Sunday morning, there are clout shoots. Woodley’s long range is wheelchair accessible. On the west side of the long range, we have a concrete shooting lane for those who need assistance in traveling to the targets. Crossbows and broad heads are not allowed anywhere on the Woodley Park Range due to issues of safety and range damage. Entry onto and Use of Range is at your own risk.